AMP Research PowerStep Plug-N-Play Pass Thru Harness | Buy AMP Research PowerStep Plug-N-Play Pass Thru Harness at Discounted Price & Free Shipping! PowerStep Pass Thru Harness allows you to connect your PowerStep controller to your vehicles without any wire cutting or splicing. 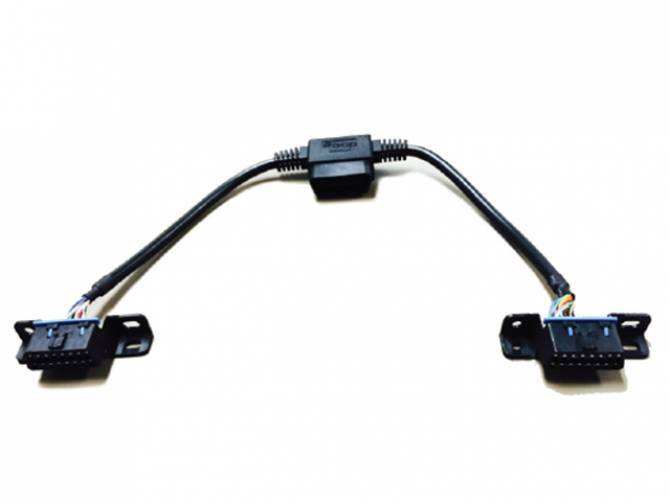 The plug-n-play pass thru harness has 3 plugs; one is connected to your vehicle original OBDII plug under the dashboard; the second plug is where you connect the PowerStep controller and the third plug is used as a replcement OBDII plug.